You must make reservations at least 5 minutes in advance of the time at Vivo Kitchen. Vivo always pleases! We love the food, drinks and service. It's always, consistently wonderful. Same for the service. Love. Great find. Will definitely be going back. Tried several starters this time. 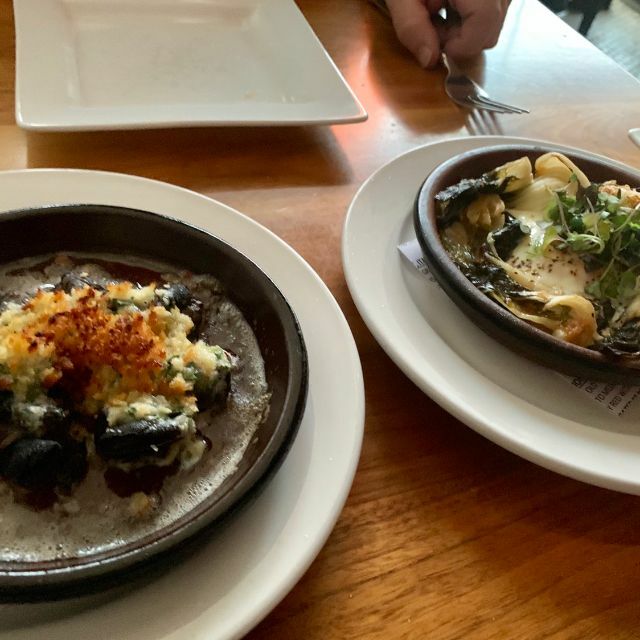 Escargot, kimchi, pork meatballs, salmon belly all amazing. Will try an entree next visit but the starters were too interesting to pass up! Nice patio as well. Eddy our server was awesome. Haven’t been since in Bellevue. Really enjoyed the change. Will definitely return!! If you like to dine among friends, you came to the right place. 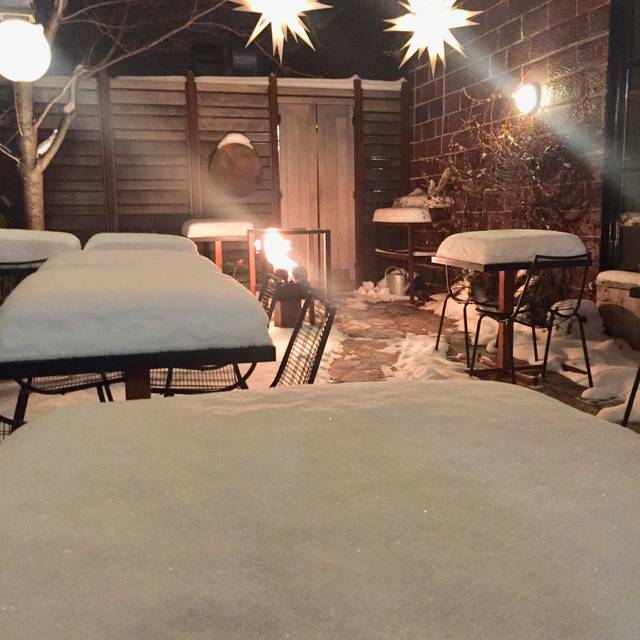 The NYC style restaurant gets it's warmth from it's friendly owners and staff. If you look for that special cocktail or amazing food creations, VIVO is your place. The outdoor patio will open soon! Absolutely love Sammy’s cuisine!! Overall it’s always amazing and spot on!!! Whether you choose a full meal or opt for several appetizers and wine, you will not be disappointed. The food is “cleanly” prepared which brings out the natural flavors. Don’t miss Vivo’s! The meal was excellent. Service was also very good. Great wine list and cocktails available from the bar. I would definitely recommend. We love Vivo Kitchen! Never had a bad experience there. Will be back again soon . . .can't wait for the outdoor seating. Great food and great service. One of our favorites in the Pittsburgh area. I don't think they update the menu that often, which disappointed me when we sat down. However, they have so many greatest hits, that our meal was spectacular. Can't wait to come back, but will need to plan ahead. Always need a reservation! We had a great experience. The burrata flatbread was fantastic! We took friends to Vivo for dinner and everything was excellent. The octopus appetizer and the beet salad and the sweet peppers & burrata were perfect starters for dinner with selections from a great wine list. The Alaskan Halibut was very moist and flakey and the bison was a perfect medium rare. We finished with delicious desserts that are made in-house. Sam and his staff deserve all of the accolades that Vivo is given. My guests shrimp entre was very good. She also enjoyed the pork meatball. My bison was tough. It was a very large portion . Had a few bites but could not eat it. My first bison. Will never have that again. Always great food. Always great service. THE most consistent restaurant in Pittsburgh. Nuff said..
Food was very good. "Starter" prices were fair. Entree prices were very high. I had the Big #ss porter house which was very good but not worth $39. The sauce on the steak was excellent, very flavorful (savory). I loved it! The only reason I didn't give a higher rating is that my wife ordered the Halibut which was good but a very small portion for $29. You should not walk away hungry when you spend that much on a dinner. If you can get past the above its a nice place with very good food. Vivo has been a favorite of ours for the last 10 years. The service is always friendly; the waitstaff is knowledgeable about the meal prep; and the food never disappoints. We'll keep coming back, for certain! Vivo is the best restaurant in this city. It's small, intimate dining room, the executive chef and owner mingling with diners, and the overall quality and care of the dishes make this more than just a meal, but an immersive dining experience. If you've never been, please do yourself the favor and make the trip. recommend. Start off with the cheese board and fresh bread. Next try the pork ribs and brussels. After that go for the meatballs and burrata flatbread. For dessert try the salted carmel cheesecake and affogato. Fantastic wine bar with nice selection of starters and main entrees (with seasonal accompaniments). Whole atmosphere is farm to table. So many great starters I was tempted to just order a few for a meal. Bartender/server was thoughtful with recommendations based upon my selections. 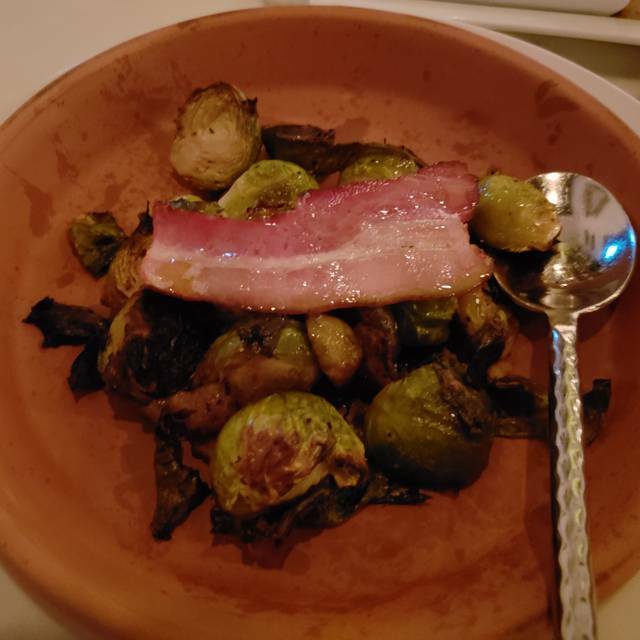 The whole crispy fried chicken was excellent as well as the side of Brussels Sprouts with smoked bacon. Very nice experience. Highly recommend. Small place so make reservations and small seating area at bar to accommodate parties of 1 or 2! Great food, service is knowledgeable of what they’re serving and are very pleasant to deal with. I would recommend to a friend, but our server really failed us in too many ways. This was my second visit to this restaurant. The food and service is over the top. Our waiter was so helpful with the food regarding what to order. It was so refreshing to have waitstaff that know the food so well and can honestly make the best recommendations. Thank you! We will be back again and again. We decided just to have several appetizers and everything was excellent. Wish we could’ve eaten more. Our server Casey was phenomenal. She expertly guided us through the menu. We ended up getting an array of appetizers which she coordinated with the kitchen for releases of complimentary flavors. Bravo! There are those places that feel like home - except you don’t have to do the dishes!! Vivo’s is such a place. You will make new friends OR have a private, intimate dinner. Regardless, you will walk away pleasantly satiated - in all areas. One of our favorite restaurants. The food is always excellent and thoughtfully prepared. Great service. Always love the beet salad and the scallops with black garlic! Amazing! We enjoyed dinner at Vivo Kitchen. Always delightful and tasty. Service spot on. One of the few places I order dessert. Portions are the right size. Must try the shishito peppers! Lovely dinner. Vivo has a strong and creative menu for every occasion and continues to thrive. Service was very attentive. We'll be back again. My husband and I had a wonderful dinner for our anniversary. 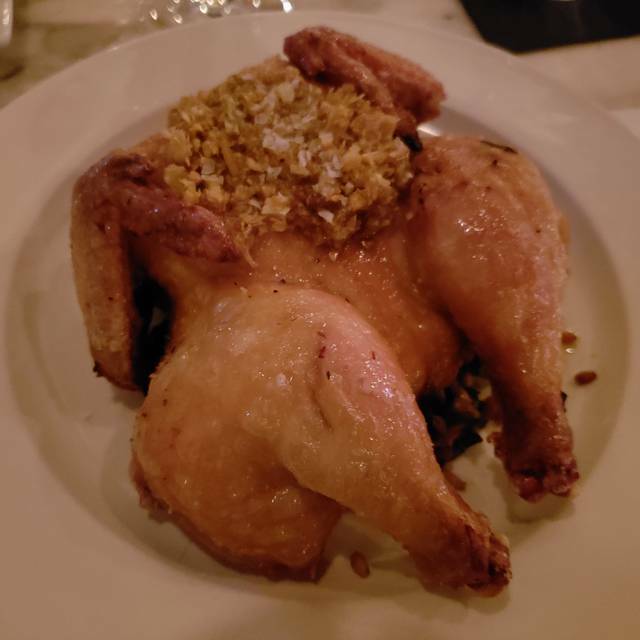 My husband normally isn't able to find food he likes at trendy restaurants, but this one was an exception. The Bison was fantastic, and who knew that beets and goat cheese mix so well? We have lived in Sewickley for 16 years and Vivo is Sewickley's best restaurant. The food is always prepared with care, the choices are diverse, exciting, and satisfying without being pretentious. The bartender Josh is incredibly skilled and creative - - a smart guest will simply name a liquor and say "Dealer's Choice" and be well pleased. And the staff is pleasant, responsive, and knowledgeable. Delightful. Enjoyed a delicious dinner in a vibrant environment. Wait staff seemed to be limited and sometimes had to wait between contacts. Knowledge of the waitress with regard to dish preparation could have been stronger. Overall a good experience and I will likely dine there again.